Stepping into a coffee shop gives a feeling of well-being. Because you know that something comforting will make that experience nice and sweet: coffee and cake is always a great combination. Most customers only see the “front of the stage” and the “backstage area” is still unknown. Making coffee using various methods is one part, but the most important is how the beans are selected then roasted to give that specific flavour. There are various types of coffee and they are all different whether the origin is from Ethiopia, Colombia, Rwanda or Nicaragua. Coffee roasters such as Origin (based in Helston – Cornwall), follow a particular process in order to get things right. However, it is not rocket science – it is all about ticking the right boxes and having a great infrastructure. Cupped close to 80 coffees in Costa Rica yesterday. Selected the best mills to visit today. 1 is on the Poás volcanno in Central Valley. Sending a person (or two) abroad is part of this quest; finding, seeing, roasting and cupping potential beans which will give that cachet to the espresso coming out of the machine. Travelling is essential – you can’t find gold by working remotely from behind a desk. Coffee drinkers usually like the kind of buzz and café culture present in espresso bars. But preparation is so important to get the final product right. After all, it is like having quality ingredients for a recipe. The crop can be the best but the coffee roaster will have to deal carefully with it as well. Slightly overdone and it will all be too dark and the taste could be awful. 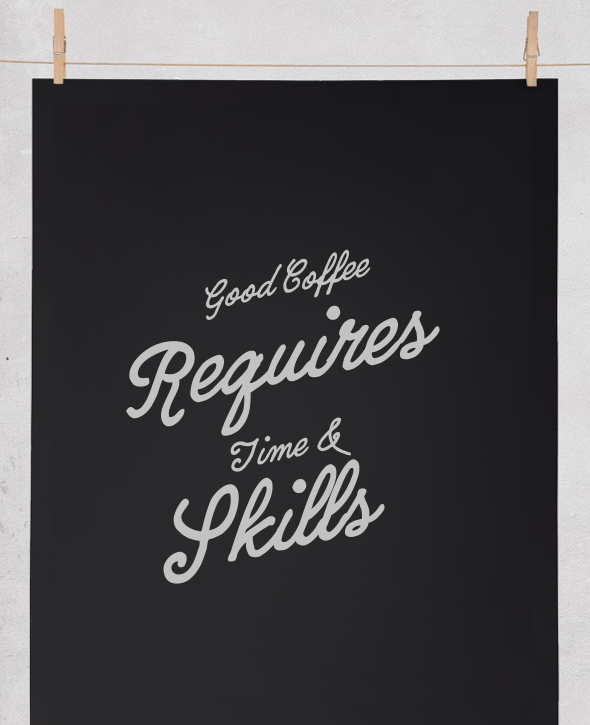 This is why that craft coffee requires skills from start to finish and each stage is precious to get the real thing. More and more people are keen to take workshops to learn how to be a barista or roast coffee without spoiling it. Britain is become a nation of coffee experts, without a doubt. The next step would be to run a coffee shop: a dream for a lot of individuals. But do they know what is actually behind such venture? It is not just about standing by the percolator and grinder and playing with it. It is also about working long hours to serve from early morning when people commute to work – to early evening and eventually catch the same crowd on their way back home. Getting that regular foot fall is a great point, because the barista will start to know its clients and even their drinks… a great customer service will then be delivered. To keep the business running it will be important to get a variety of coffee and not just one, as people like choice. Coffee owners must have a kind of investment management system in place and this has to be done on a regular basis to create this uniqueness – the passer-by will stop because of the new & distinctive scent coming out of the shop. Whether the premises is large or small, it is also about getting the right staff. The drink can be awesome but the service has to be good too, with the correct manners. No need to go over the top, but being attentive to the customer’s needs is always appreciated: this can go from asking the right questions to serve the correct drink to bring hot or cold milk for that americano! Getting the right brew is not just about pressing a button on a machine, it all starts at the root of the selection. It makes sense that a cup of coffee is around £2.50 because there is a cost of research, skills and knowledge behind it. Daily, the grinder needs to be adjusted too, all this according to the air pressure or this extraction could produce inconsistent espresso. 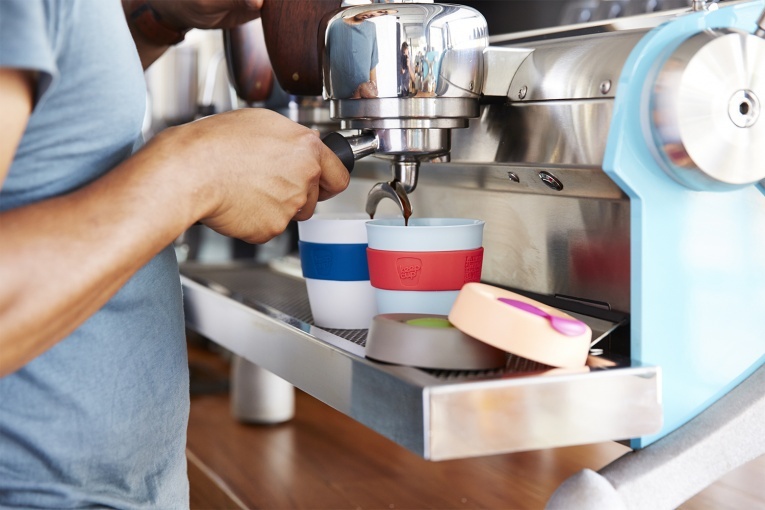 If you dreamt of a take-away coffee cup, which replaces the need for paper cups: KeepCup is for you! At least, you will be able to recognize your cups easily as well, whether you are sharing a car or just at the office. 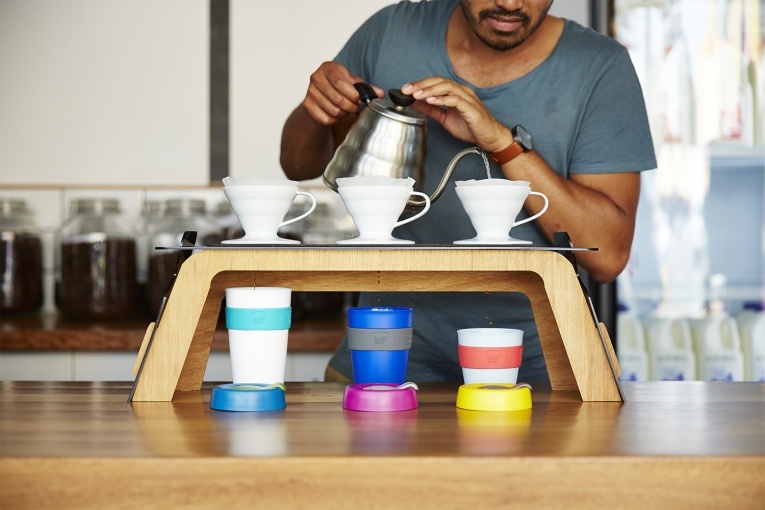 The KeepCup is also an Award winning sustainable product design.